First Silver Age appearance of Vandal Savage & Johnny Thunder. 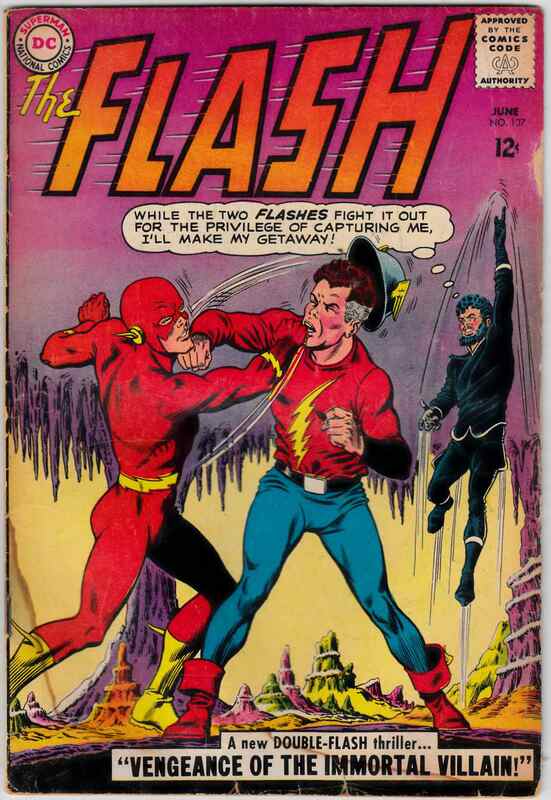 First Golden Age Flash crossover. Grading Notes: water damaged all the way through the bottom 1" of book. color rub along opening of book. abraded bottom left corner. 1/2" edge tear along bottom edge. minor spine roll.